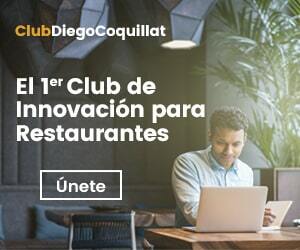 DiegoCoquillat.com is the first online newspaper in Spanish on new technologies and innovation applied to the restaurant industry, Hostel and Tourism. He 90% of our readers they are directly related to the restaurant industry and hospitality, from own staff, owners of small businesses to large groups or executives franchises industry. Interested reach them in an easy way, quickly and easily through DiegoCoquillat.com? More of 50.000 page views per month and more than 30.000 followers in social networks, ensure that your message reaches all restaurateurs who follow us daily. We have a wide range of formats to include your information, from banners, page takeover, sponsorships, hasta advertorial post the interviews, sure we find the best way to get the greatest impact on your prospects. We are convinced that DiegoCoquillat.com is the perfect place to promote your company or your product, We speak?